Suitable for use on light vehicles. 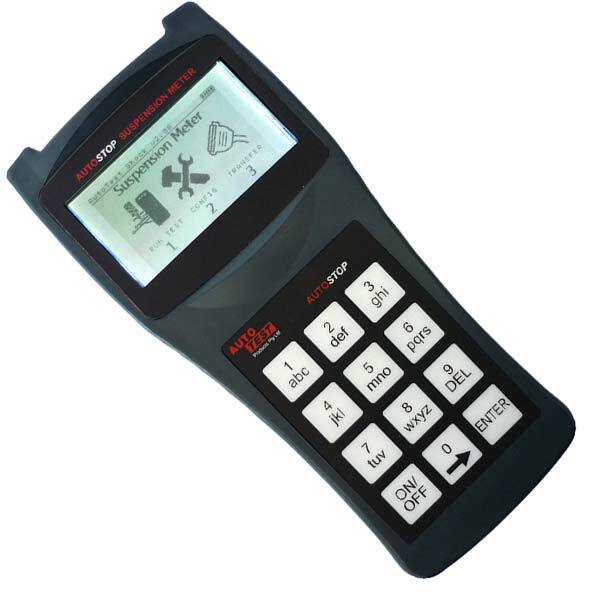 Compatible with remote AutoTest MPT-II BlueTooth Thermal Printer. The AutoStop® Suspension Meter is a compact, battery-powered, hand held shock absorber tester that uses both the “Rebound Method” and “Damping Ratio.” Monitoring the vertical sprung mass movement of the vehicle to determine the performance of the individual shock absorber. Immediate print capability via optional AutoTest MPT-II BlueTooth Thermal Printer.